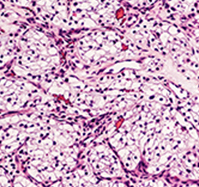 What factors are associated with the highest risk of RCC recurrence? Recurrence is estimated based on stage, and stage is based on the size and degree of local extension to the regional lymph nodes or distantly to the lungs, the bones, and the liver. If you have what we think is a nonmetastatic patient by imaging, then we’re generally going by the size of the tumor, and if the tumor is less than 7 centimeters it’s stage I, and if it has extended to the fat around the kidney or spread to the local lymph nodes that’s stage 3. 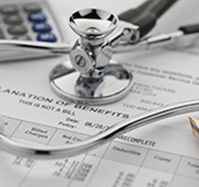 Those factors give us our best way to estimate for the patient the risk of recurrence. The histology doesn’t generally help us, although there are various nomograms we can use. One of the most popular is the UCLA UISS [University of California Los Angeles Integrated Staging System], which also takes into account performance status and grade of the tumor. What’s the current standard of care for these patients following surgery, and how have clinical trials informed therapeutic choices? As you said, the standard of care for nonmetastatic kidney cancer is surgery, either partial or radical nephrectomy, and then the question is what to do next. Before last year, the standard of care was surveillance, with different forms of imaging over different intervals based on the cancer’s risk of recurrence. We have had a lot of different trials since then testing the role of adjuvant targeted therapies with tyrosine kinase inhibitors. We’ve now had four trials with results. The first was the ASSURE trial, which tested a year of adjuvant sunitinib/placebo vs. a year of adjuvant sorafenib/placebo, and a year of placebo/placebo, and found that neither of the TKIs increased recurrence-free or disease-free survival or overall survival over placebo, so that was our first result, and that trial allowed patients with clear-cell and non–clear-cell disease, and it included some of the lower stages, T2 and high-grade T1. Either way, in both ASSURE and S-TRAC, there was a fair amount of toxicity with sunitinib – anywhere from 30% to 50% of patients, depending on the trial, had to stop or dose-reduce the drug at some point because of the toxicity. The ASSURE trial about halfway in had to decrease the starting dose of the TKIs because of the toxicity. The S-TRAC trial was more rigid: Patients all had to start at the full dosing and it didn’t go down as much; they could only have one dose reduction. The ASSURE investigators actually did a post hoc analysis. It’s very hard and flawed to compare across trials, but they tried to look at the S-TRAC-ish patients and they really didn’t find a difference in that high-risk, high-stage, clear-cell population when they looked back, and they looked at dose intensity and again did not see a difference, just because those patients in S-TRAC were able to get the fuller amount of the drug. So that was and remains a controversial area. 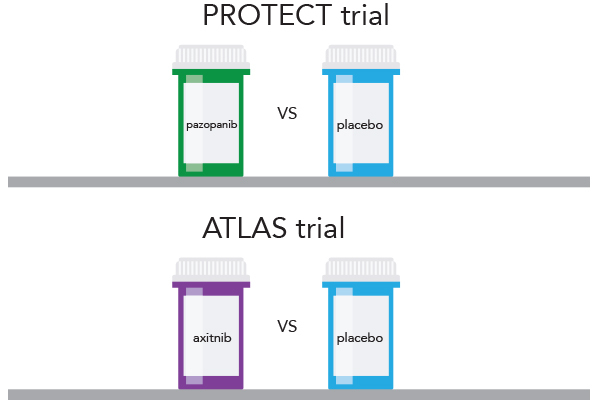 We have two more [targeted therapy] trials: the PROTECT trial, which evaluated pazopanib vs. placebo, and the ATLAS trial, which evaluated axitinib, a kind of kinder, gentler, more selective TKI against VEGF receptors, compared against placebo. Neither of those trials met their primary endpoint of increasing disease-free survival or overall survival. The PROTECT trial was interesting because they too had to dose reduce part way through and change their primary endpoint to go down on pazopanib from 800 mg to 600 mg, and what they found was that it did not meet its primary endpoint at the 600-mg dosing, but actually did show a benefit in the 800-mg dosing in terms of disease-free survival. But neither of the doses met the overall survival endpoint. The ATLAS sponsor just came out with a note to investors on its website that it didn’t meet its primary endpoint, but we don’t know all the details about that trial yet. 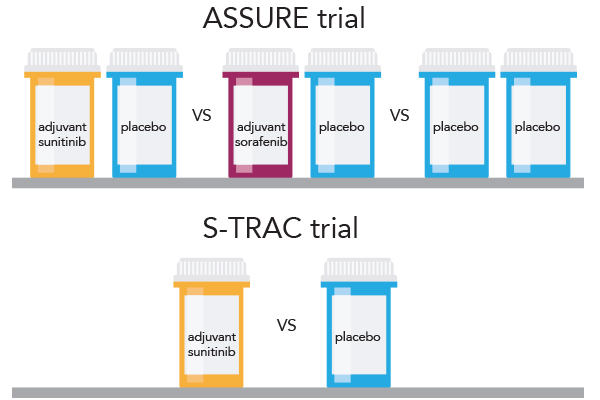 There are at least two more that are ongoing: the SORCE trial, which is actually looking at sorafenib timing, 1- year vs. 3-year vs. placebo, and then the EVEREST trial, which is looking at adjuvant mTOR inhibition. What is the current status of adjuvant therapies? The Food and Drug Administration took all of these data into consideration, and the ODAC [Oncologic Drugs Advisory Committee] had a six ‘yes’ and six ‘no’ vote on approval of sunitinib. Ultimately they did approve adjuvant sunitinib for those S-TRAC-like patients: high-risk T3, T4, clear-cell only disease. I think at the present time if you ask any kidney cancer expert they will all have different thoughts on this. To me, if you’re not going to significantly improve overall survival, I really don’t know if you’re actually treating those patients and helping them by stabilizing the disease for a longer period of time, but at the expense of toxicities. We don’t know who those patients are who are definitely going to recur, so maybe we can do the same thing but only treat patients at the time of recurrence. 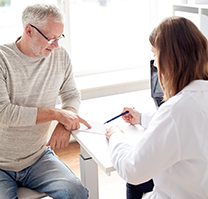 It’s a question of early vs. delayed therapy, so with that plus the toxicity it really comes down to a good joint shared decision-making conversation with the patient. We talk about [the option] of sunitinib and the pros and the cons with potential side effects. Not everybody gets the side effects and we’re pretty darn good at managing them now, but they are not inconsequential. But what I really steer people to – and I have to say that I’m biased as the overall study chair for the PROSPER clinical trial – is the immunotherapy adjuvant, and perioperative therapy trials. We will get to those trials in a moment, but briefly, how do you best provide active surveillance? There are many different ways of doing surveillance, and when you do, you always want to take into account what is the risk of recurrence. Do you have a patient with a 3-centimeter T1 – stage 1 – tumor that has such a low risk of recurring and such a high chance of cure with surgery, or do you have a patient who had a T3 tumor into the fat that has a high risk of recurring? That [second] person I would scan more frequently, taking into account their kidney function and whether you do CT scans, vs. MRIs vs. PET/CTs where insurance allows. For that patient with the T1 tumors you may do less scanning or maybe use ultrasound and how much is enough, so those algorithms like UISS can be helpful there. The NCCN [National Comprehensive Cancer Network] has its own version, using patient age and comorbidities to find a good balance between catching the cancer if it’s going to come back, but not adding to other issues with contrast irritating the kidney, or risk of a second cancer with a lot of extra radiation. Do you expect that immunotherapy will fare better than TKIs in the adjuvant setting? The new checkpoint inhibitors have really changed the treatment of kidney cancer. More than 10 years ago, targeted therapies changed the face of kidney cancer therapy, because all we really had was interferon-alfa and high-dose interleukin-2 – cytokine-based immunotherapies that helped a few patients, but were pretty toxic, but traditional chemotherapy really didn’t work in kidney cancer. And then along came the targeted therapies that inhibit the hypoxia-inducible factor axis, but most of the time those drugs are really just stabilizing disease, slowing its progression, but rarely eliminating it. But no doubt, patients were living years longer than they did in the prior decades with cytokine-based immunotherapy. But we sort of reached a plateau in what we were able to do, and fortunately along came checkpoint inhibitors. 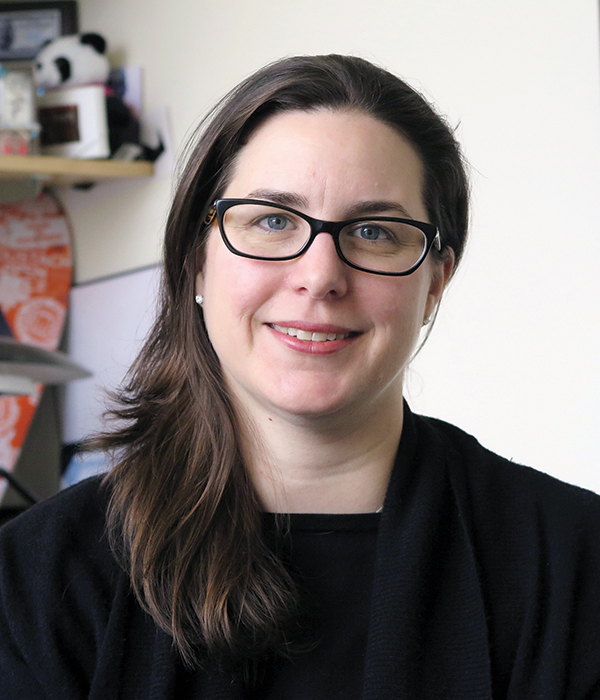 Kidney cancer has been known for decades to be an immunotherapy-sensitive tumor, and there was also a pretty good understanding that PD-L1 – one of the immune checkpoints that we physiologically use in the body to stop our immune systems say from [over]responding to a virus like the flu – that these cancers can usurp this mechanism and put PD-L1 on the cell surface, bind to the T cell, and turn off the T cell. 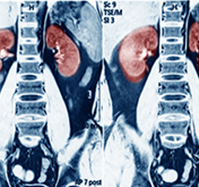 Nivolumab was the first checkpoint immunotherapy to be approved for kidney cancer after patients had had at least one of the targeted therapies, and that was tested a couple of years ago against everolimus. So that really also moved the bar forward. Unfortunately, it didn’t work for everybody; at least 40% of patients were primary-treatment refractory. What’s the current status of pembrolizumab in this population? Keynote 564 is looking at pembrolizumab monotherapy, which I think is also key to look at in the first-line setting, and they have two cohorts, clear cell and non–clear cell, so we’re going to get some more data. Most of these trials didn’t allow non–clear cell, so we’ll get some more data from that on pembrolizumab’s efficacy in non–clear-cell disease. We have some inklings from small trials, small numbers in an earlier setting. What about other types of immunotherapy? I think the waves of the future are probably in different things. CAR T cells are early on in kidney cancer. We have here through Catherine Lu’s group using the NeoVax vaccine that’s being tested in kidney cancer. That’s where you take the patient’s tumor, perform a fresh biopsy, take a piece of the tumor and distill it down to find top immune-stimulating neoantigens – proteins on the tumor. You make a vaccine out of it and then give it in various studies with nivolumab or ipilimumab. Dr. [Toni] Choueiri has a study here that will open hopefully soon with localized injections of ipilimumab plus the NeoVax in the adjuvant setting or low-volume metastatic disease. So I think there are a lot of cool combinations of up-and-coming vaccines. But I want to come back to the adjuvant setting where I think we have the most promise or the most excitement, and I think that’s the immunotherapy studies that are ongoing in what I would call the perioperative setting. Because the old standard in kidney cancer is really to take out the kidney, then give drugs, and that’s what all of those different targeted therapy trials did, as did about 20 others in the past with other forms of drugs that weren’t as effective. So we have now ongoing at least four pure adjuvant IO studies in kidney cancer. We have atezolizumab, we have pembrolizumab, we have the combination of nivolumab plus ipilimumab, and then there’s the RAMPART trial, mostly ongoing in Europe with durvalumab I think in combination with tremelimumab. But we have one trial, the PROSPER trial, that is actually thinking about doing it a little differently. We’re giving two priming doses of nivolumab followed by surgery, followed by 9 months of adjuvant therapy to further engage the immune system. If you think about how these checkpoint agents work, it makes a whole lot of sense that it’s going to be able to activate the immune system and build that T cell army if you prime it with a tumor. There’s some work to support this preclinically, a couple of lung and breast cancer studies showing a potential benefit to priming the immune system first with these drugs, then taking out the primary tumor, but we probably need to engage the immune system with some degree of adjuvant therapy. We still don’t know who those ideal patients are who need it, but I think all of these studies, including PROSPER, have significant amounts of biomarker work built in to help us identify those predictive biomarkers, to say, OK, more than stage, this is the patients who need IO, or this is the patient who need sunitinib. 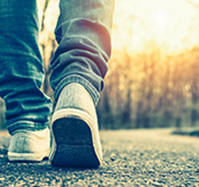 What specific advice do you give today to patients diagnosed with high-risk RCC? I base my recommendations on their risk and their histology. If I have a patient with high-risk clear-cell disease, stage 3, I’m going to tell them to consider one of the adjuvant clinical trials. Here we have pembrolizumab, other places have atezolizumab, others have nivolumab or ipilimumab. Here we’re trying – and across the country and hopefully Canada soon, where we have PROSPER open – we’re trying to get patients ahead of time. For the PROSPER trial we need to enroll them before they have their kidney out, because we’re giving two doses of nivolumab to half the patients, and half the patients go straight to surgery and get the standard of care. I will tell any patient with stage 2 or greater kidney cancer to think about a clinical trial so that we can try to do better than what we have now, which is that many patients are cured with surgery, but not all, and too many have a high chance of recurring. Yes, we have adjuvant sunitinib, but it’s pretty controversial given one bigger negative study and one positive study in a smaller patient population, and it doesn’t definitely increase overall survival and does come with a fair amount of toxicity for most of the patients.